Today we got going by 6:30am knowing it was a town day. 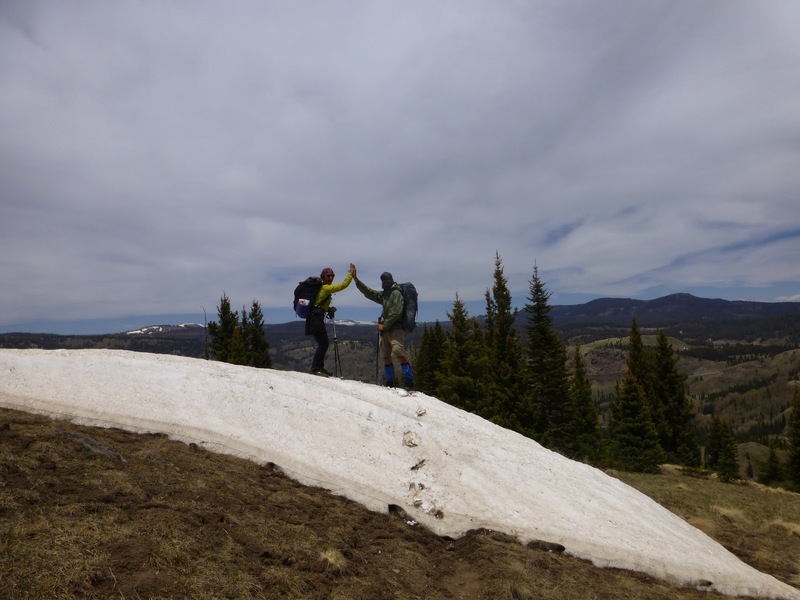 We were about 15mi away from Cumbres Pass where we would need to hitchhike the 12mi into the town of Chama, NM. It’s our first trail town that we won’t actually hike directly into. 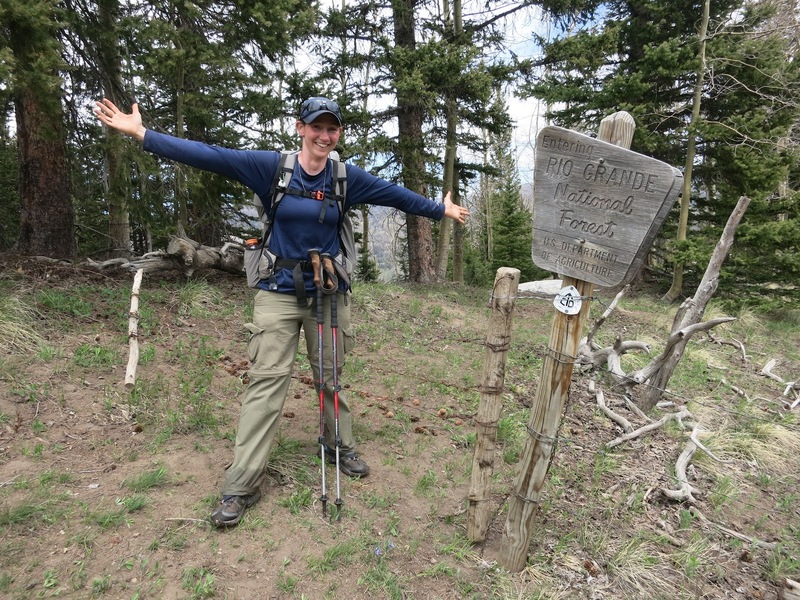 Today is an exciting day because just before we reach the pass, we will officially enter Colorado! 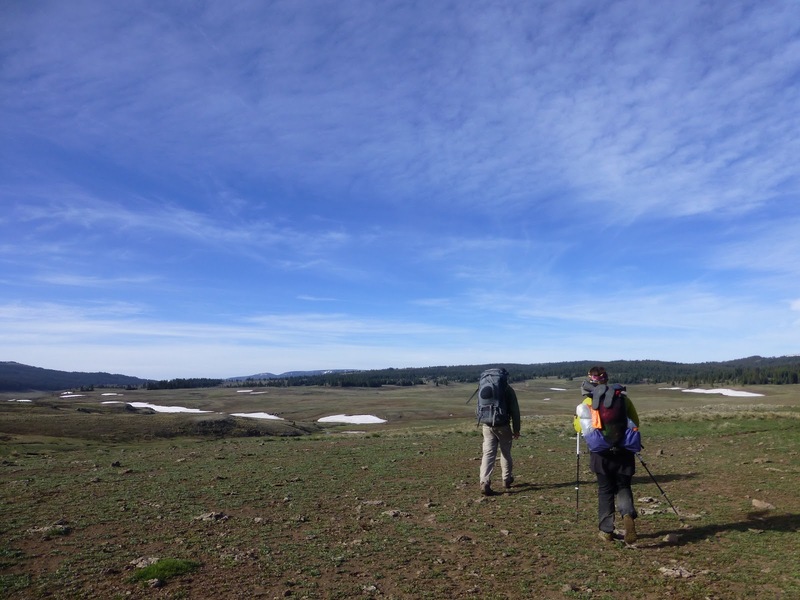 The town of Chama is actually in New Mexico, so we will be hitching back into New Mexico, but will officially be in Colorado on the trail. Hope that makes sense. The morning started off beautiful walking along a forest road. 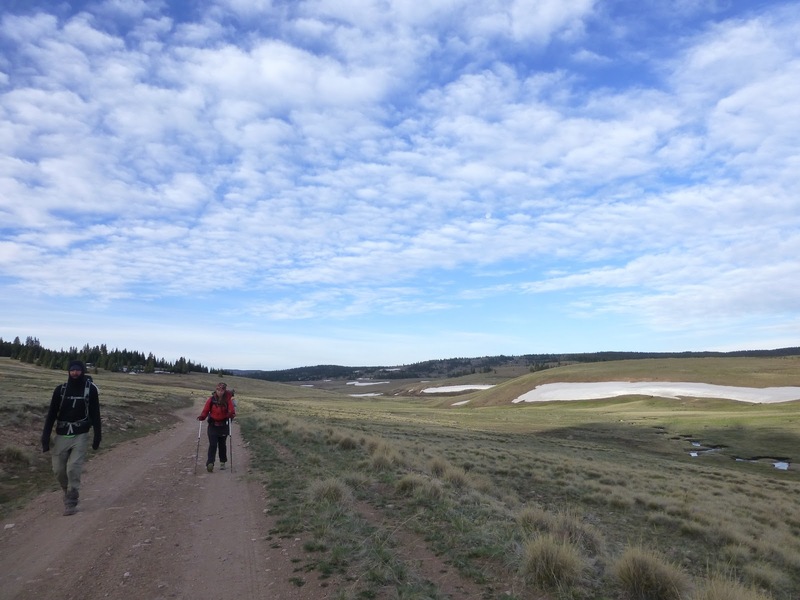 Well, about four miles into the day, we had a decision to make…the official CDT trail was said to have some snow in wooded areas that have yet to melt and make for a good slog. The other option is a road walk that avoids the snow and is shorter. I definitely knew I wanted to take the official route even though I knew it would be more time consuming and tiring…but what am I out here for? Walking a road? I think I’ve had enough of that and I wanted to cross into Colorado on the official trail. Everyone as their own reasons for choosing one route over the other and we ended up splitting into two groups. Sweetfish, Drop-N-Roll, and Ninja chose the road walk while me, LoveNote, and Stryder chose the official trail. The majority of our route was clear of snow and beautiful. We hit two sections with snow that we postholed (sank deeply into) in. It was patchy and more snowy than dry. In one of the sections, we hit a mile and a half of snow that took us an hour to get through as we were postholing up to our knees regularly and sometimes deeper. 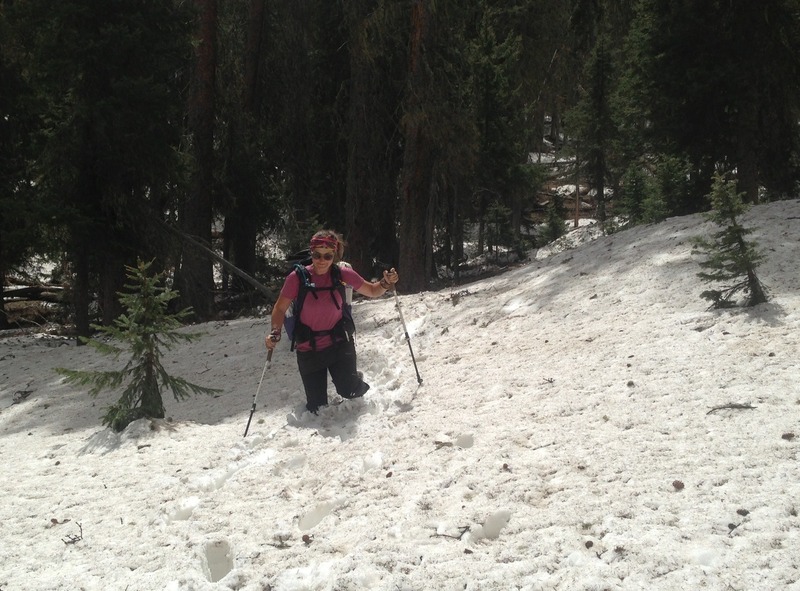 Another section was about 50mins in snow that wasn’t as difficult or deep, but definitely slowed us down. It was a good practice run for the snow ahead in the next two legs. My camera ran out of batteries and I didn’t want to stop to replace them, so these snow pictures were taken with my iPhone til I hit lunch. Notice that Stryder is postholing and he is 6’2″. 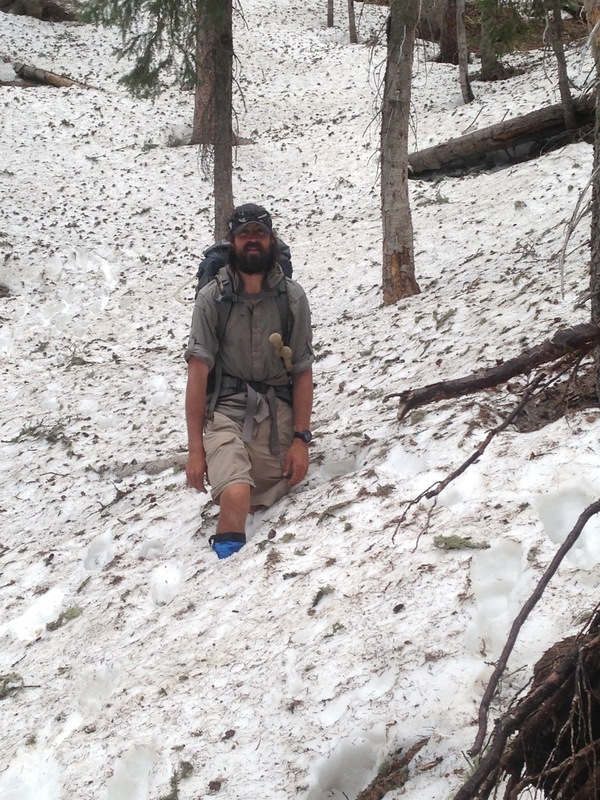 The main difference I’m noticing from the Sierra snow I had on the PCT is that we are hiking in much cooler weather and my feet were very COLD. 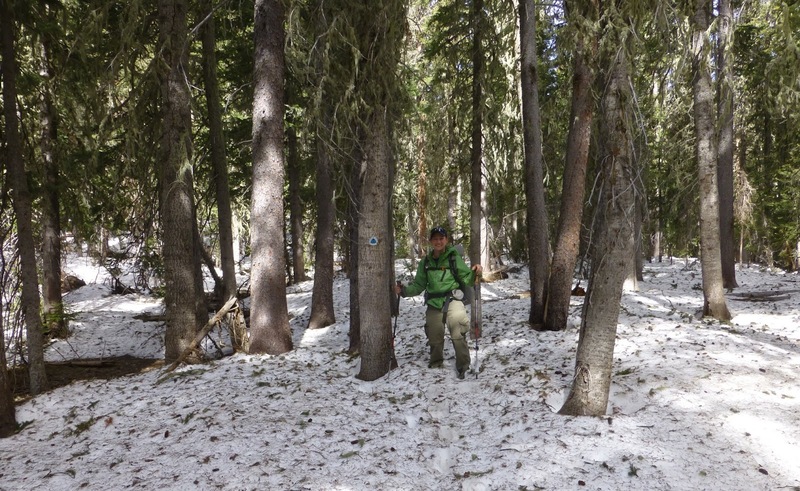 Most of us just wear our trail runners through the snow and tolerate the wet shoes, but this snow if much colder than the Sierra snow. When I get to Pagosa in a handful of days, Rockin’ will join me and will bring some neoprene socks that will keep me warm. My plan for the next section where I expect a solid 3 days of snow, is the true hikertrash way…plastic grocery bags slipped over my socks and into my shoes! Ha! Hey, don’t hate, they work! The three of us were very happy with our choice despite the difficulty. 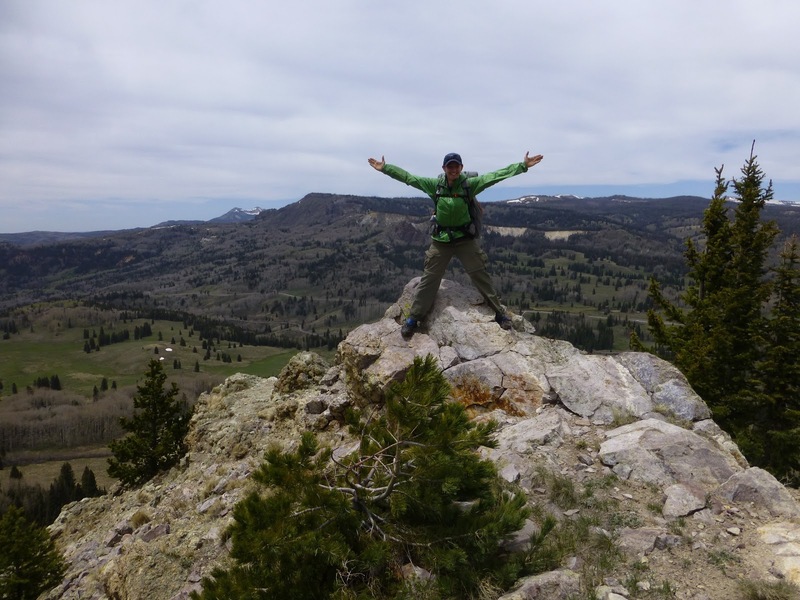 It felt like we were really on the CDT and we were rewarded with some great views. The big reward was crossing into Colorado and celebrating by having lunch right where the boundary line was. Here I am straddling the boundary line. Yay! The view looking into Colorado made my heart leap and we were all pretty stoked to be looking into the mountainous state. We had some snow patches in the last couple miles to the pass and celebrated our first snow test. We hoped we would be able to get a hitch quickly. 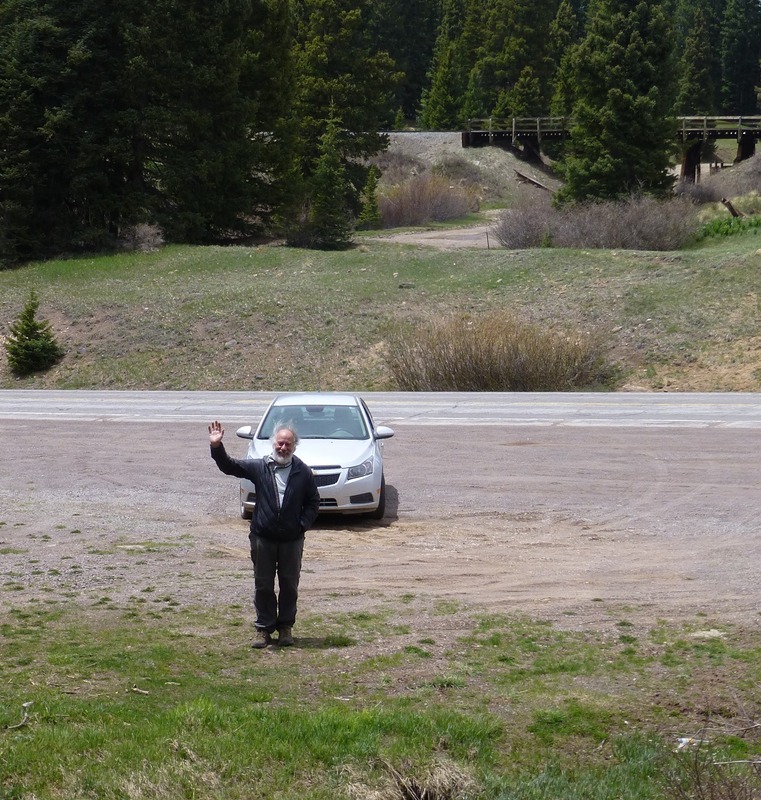 As we hiked down to Cumbres Pass, I saw few cars driving by and saw a car parked at the trail head. I mentioned how awesome it would be if a person was in that car and guess what happened when we got closer to the car…the door opened and out stepped Beacon! What a wonderful sight! He has been trail angeling and we are friends so he saw on my SPOT map where I was last night and guessed when we’d come out to the pass. He was right on and it was the most wonderful surprise! He drove us to our hotel and there are a ton of hikers here again. I’ve been busy catching up on blogging and emails, so I haven’t interacted much…it’s our group, Mark, Horton, Birdman, and the four man MeGaTex group, Uncle Tom, Richard Wizard, Train, and General Lee. Tomorrow we will set off to start the first really snowy section. Tomorrow should be okay, but the middle three days should be mostly snow and thunderstorms are expected…not the best timing!